As a self-published author and avid reader, one site that I can’t live without is Goodreads. It’s a social media site where readers can review books that they’ve read and find new books to check out. So when I began writing and promoting The Conjurors Series, I knew that it would be critical to have a presence as an author on this site. Similar sites, such as LibraryThing and Shelfari, are also great places to discover new authors or promote your books, but in my experience Goodreads is the most popular and easiest to navigate. Below you’ll find the tips I’ve found most helpful in maximizing this tool to promote my series. The first thing you should do as a self-published author on Goodreads is to look up your books and to identify them as yours. Goodreads makes it easy to then fill out information about yourself and your books. It’s a great way for fans to learn more about you. If they like your writing, it’s one of the first places they may look to see what else you’ve written. If you have a blog, you can also connect it to your Goodreads author page, which is another way to increase your readership. 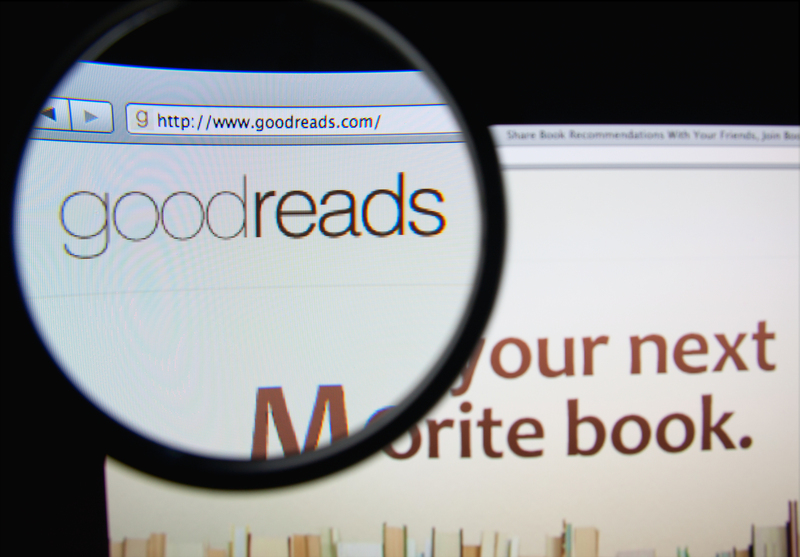 Maximize your reviews on Goodreads. It can be a hassle to recruit readers to write reviews for all of the different places your book is listed (Amazon, Smashwords, Barnes & Noble, etc.) but it is definitely worth it to have a good collection of reviews on Goodreads. There are a ton of potential fans on Goodreads, as it is a go-to site for heavy readers. They want as much proof as possible that your book is worth checking out. Another benefit – whenever a reader identifies that they have finished your book, they are given the option to recommend it to other readers in their network. You can also solicit reviews by joining various groups on Goodreads. More about that in the next tip. Join Goodreads groups that are relevant to your genre. Joining Goodreads groups has several benefits. First, it gives you quick exposure to see what books in your genre are popular. I like to make sure that I’ve read all of the latest and greatest books in young adult fantasy, to stay on top of trends and see how other self-published authors in my genre are reaching fans. Second, it can be great place to solicit reviews or promote your book. Many groups have specific topic threads for authors. The two I’ve found most valuable are Making Connections YA Edition Group and How to Promote YOUR Book on Amazon. Goodreads also offers a simple, highly targeted way to advertise to potential readers. I’m torn about whether or not a recommend this technique. On one hand, I love how I can target my ad to readers who are specifically interested in my genre, or even readers who have read works by other authors who are similar to me. That being said, I haven’t had a lot of luck with readers clicking on my ad. However, this isn’t a waste of money, because I pay for clicks. It means that a few times a week readers check out my book on Amazon because they’ve seen the ad on Goodreads, and a decent percentage of those clicks lead to sales. All in all, I’d say it doesn’t hurt to give it a test run and see how high your click through rate is. Conduct a giveaway through Goodreads. Goodreads also offers an easy way to have a giveaway (of physical copies of your book) that is promoted through their site. Although I haven’t yet conducted a Goodreads giveaway of my own, other self-published authors have said that this technique has been valuable. It’s a great way to get your name in front of new readers, and you can always follow up to give away an e-book version of your book with interested readers. Have you discovered other techniques to maximize your presence on Goodreads? This entry was posted in Self Publishing and tagged ebook marketing, goodreads, self-publishing by conjurors. Bookmark the permalink. I can’t say that I had a ton of success with Goodreads ads in terms of generating sales. I too only paid for clicks, but most people merely added my book to their to read shelf rather than make the actual purchase. This tells me that I need to work on improving my book synopsis on GoodReads, but that is a whole different topic. I actually had better luck closing the sale using facebook ads. I did offer a GoodReads giveaway and I highly recommend that as a means of getting attention. I wish I could say that all three winners wrote a review, but those that did were complimentary. The only negative experience I had was that I found out one of the winners turned around and used my book in their own giveaway contest. I was initially disappointed that it didn’t go initially to a willing reader, but in the scheme of things the experience gave me even more exposure. I will definitely repeat the process when I finish work on my follow up project. Thanks for the insight! You’re the second person who has recommended a Facebook ad, so I think I’ll give it a try next.